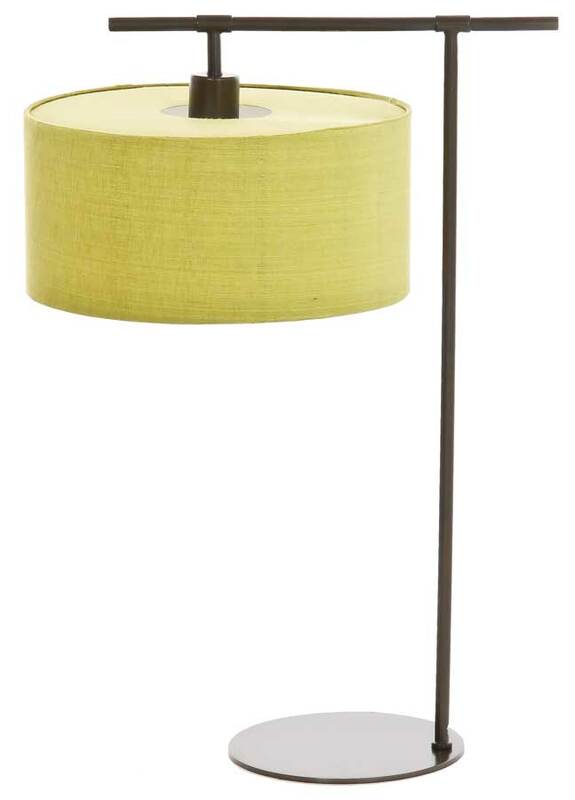 This Elstead Balance dark matt copper table lamp with lime drum shade is contemporary and stylish. Constructed from steel and finished in dark matt copper, with a flat circular base, tubular upright and an overhanging top bar supporting a 13″ lime drum linen lamp shade fitted with a top baffle. Other shade options are available, please contact us to enquire. Part of the Elstead Lighting Harlequin collection and supplied with the Lucido lime green 33cm drum shade (HQ/CY33 LIMEPR3) as shown. The shade is fitted with a top baffle to give a better downward spread of light. Please note that the dimensions shown below are for the base only and do not include the shade. Shade diameter: 33cm Height: 15cm. There are matching fittings available in the Balance lighting range, please see below. This table lamp is exclusive to Elstead Lighting, a British company that specialise in the manufacture and distribution of decorative lighting such as the Balance dark matt copper table lamp with lime drum shade you see here.